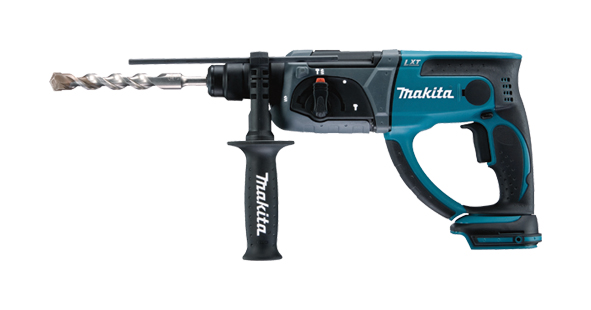 Makita LXT (DHR 202Z) 18v SDS Hammer Drills are a handy tool for a number of trades with a drilling capacity of 13mm in steel, 20mm in concrete and 26mm in wood. In rotation mode the chisel can rotate a full 360 degrees with 40 different locking positions. Their proficient chisel action delivers an impressive 1.9js of punch, making them capable of chiselling tiles off walls and chasing for pipes. They are also equally at home drilling large holes in brick/block work for putting cables through walls or creating small holes for fixings.